Disability Services is a leading provider of disability advice, expertise and support. 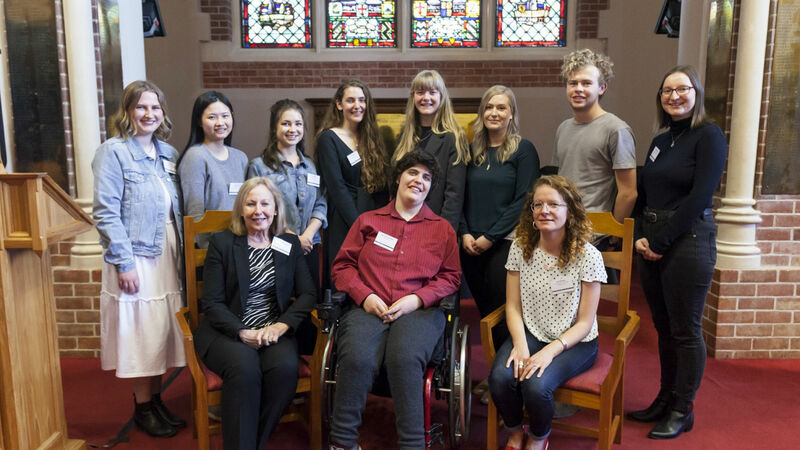 We work in partnership with staff, students and the disability community to strengthen Victoria's culture of inclusion, celebrate disability and ensure students can fully participate and achieve their aspirations. 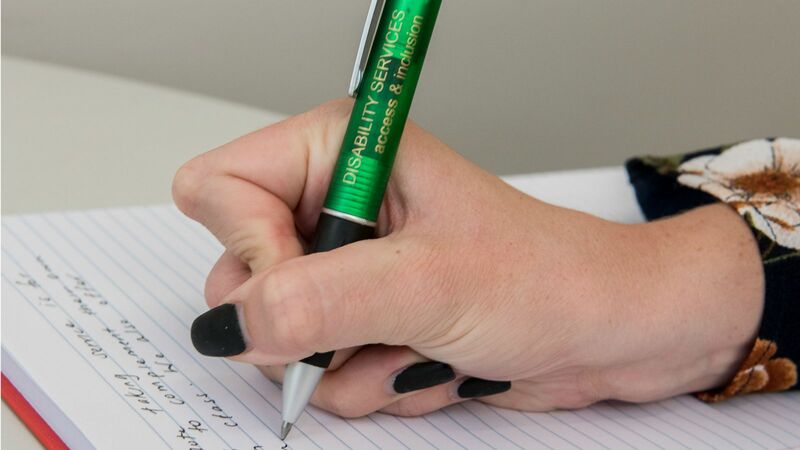 To make an appointment, provide feedback or for general enquiries, call us on +64 4 463 6070 or email disability@vuw.ac.nz. 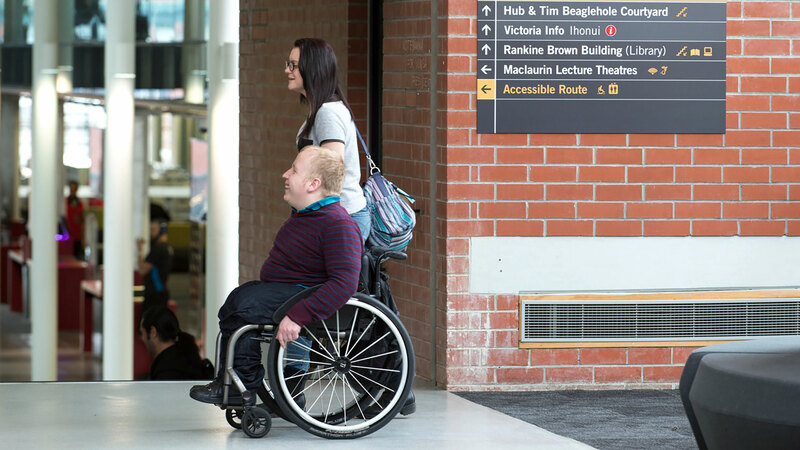 The number of students with disabilities at the University is steadily growing, and we greatly welcome the increasing diversity of our community. We offer a broad range of quality services which are tailored to your individual needs. Access our online registration form and find out what supporting documents you'll need to provide. There are a number of different ways that you can get involved at Disability Services, such as contributing as a volunteer. On Thursday 4 October, Disability Services held their annual Victoria Volunteers celebration and awards ceremony, which celebrated the contribution of nearly 200 Volunteer note takers, team leaders, van drivers and assistant walkers and recognised the efforts of 10 outstanding volunteers. Bachelor of Arts student Jessica Finley wanted to become more involved in the Victoria University of Wellington community outside of her classes, so she became a Vic Volunteer Assistant Walker for Disability Services.